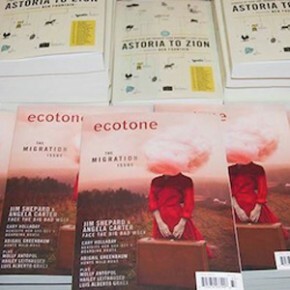 Fair warning: shameless self-promotion ahead for our two Astoria to Zion launch events in NYC and Boston next week. You won’t want to miss these! 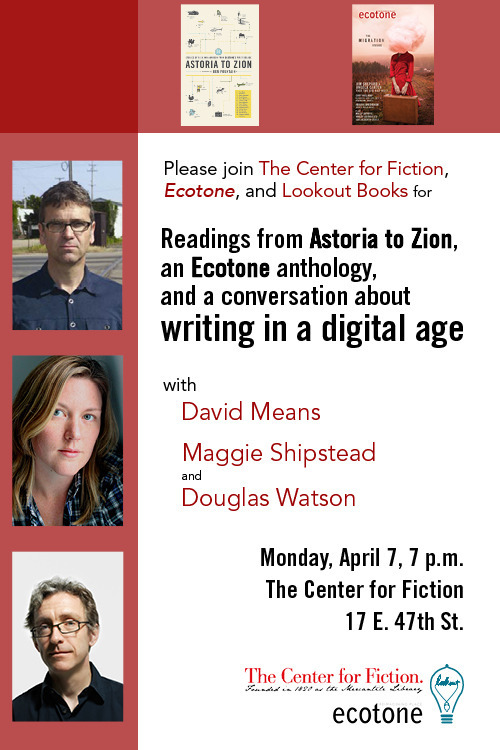 We’ll be at the Center for Fiction in New York on April 7 at 7 p.m., with contributors David Means, Maggie Shipstead, and Douglas Watson, who will read from their terrific stories in the anthology. The post-reading Q&A will focus on how technology affects writing and literature—and the short story in particular. 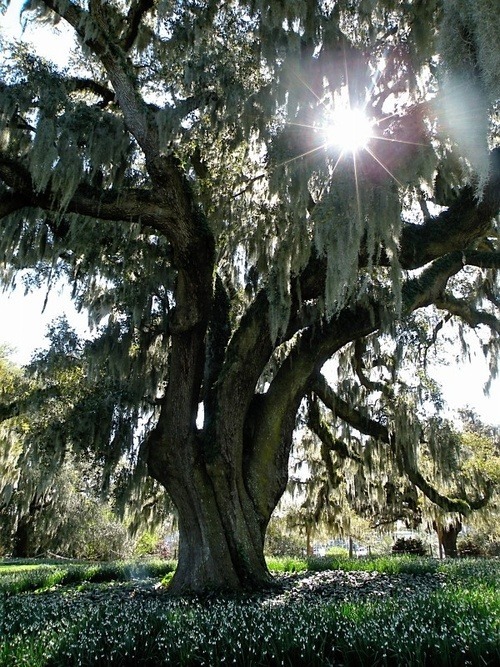 How important is the concept of place in an age when our physical location is largely irrelevant as long as we’re within cord’s length of a power source and range of Wi-Fi? Are digital resources essential to conduct and organize research? How do Twitter and Facebook influence our thinking and writing processes?